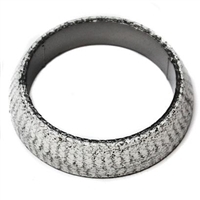 The COBB Tuning turbo downpipe is one of the premier modifications most owners look to upgrade on their vehicle. By opening the diameter of exhaust flow coming out of the turbo, the downpipe unleash power where the stock restrictive unit lacks. Invidia's down pipes are full stainless steel for a great finish and long lasting durability, CNC machined flanges and robot TIG welding complete this incredible design. The COBB Tuning catback exhaust is heralded often for its quality, performance, and subtlety. 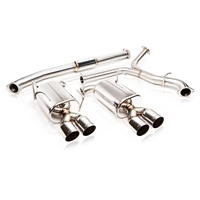 Engineered to be a vehicle specific unit, the catback exhaust uses the highest quality stainless piping and a muffler designed for direct and efficient flow of exhaust to achieve the highest performance while still retaining a stock like appearance and sound level. The COBB Tuning Turbo-back is the ultimate power bundle for your 2015-2016 Subaru STI! Simple plug-in and bolt-on installation of these components offer excellent power gains, outstanding build quality and an impressive exhaust note. 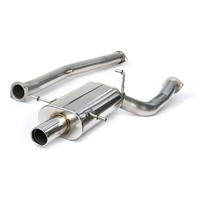 The ETS Cat-back exhaust for the 2015-2016 WRX is a made right here in ETS's facility. 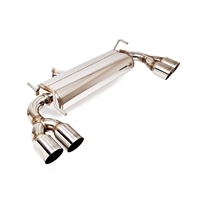 This exhaust features a true 3.0 all the way through connection to the rear section splitting into two 3" pipes and finished off with quad 3.5" tips The ETS Axle-back exhaust for the 2015-2016 WRX and STI utilizes a full stainless steel construction. 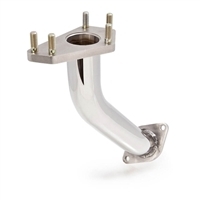 Fathouse Fab's EJ25 321SS Billet Header for Subaru! 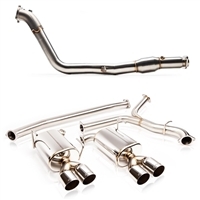 Invidia's performance exhaust header for the Subaru WRX/STI 2005+. The Killer B Motorsport Holy Header was developed using state of the art CAD software & simulations to determine optimal design to increase power as much as possible throughout the rev range. Please contact us for availability. The Killer B Motorsport Holy Header was developed using state of the art CAD software & simulations to determine optimal design to increase power as much as possible throughout the rev range. The Killer B Motorsport Holy Header was developed using state of the art CAD software & simulations to determine optimal design to increase power as much as possible throughout the rev range. Please contact us for availability. The COBB Tuning Uppipe is constructed of rugged, 14-gauge, 2-inch diameter polished stainless steel tubing to endure the intense exhaust gas temperatures these turbocharged engines put out. These Uppipes are CNC mandrel bent, ensuring precise and consistent fitment, eliminating the need for a weak flexjoint section. Fathouse Fab's Up-pipe for the 2008+ Subaru. 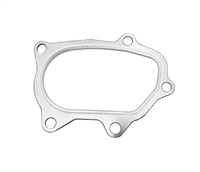 Available in an external wastegate (EWG) or internal wastegate (IWG) configuration. The GrimmSpeed EWG Up Pipe has a larger internal diameter than your stock unit, allowing a higher volume of exhaust gas to reach your turbo more efficiently. The GrimmSpeed EWG Up Pipe has a larger internal diameter than your stock unit, allowing a higher volume of exhaust gas to reach your turbo more efficiently. The GrimmSpeed EWG Up Pipe has a larger internal diameter than your stock unit, allowing a higher volume of exhaust gas to reach your turbo more efficiently.